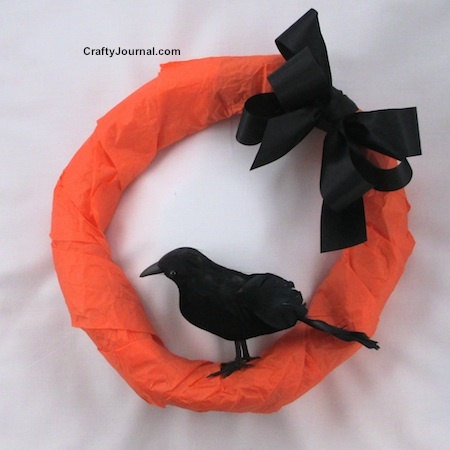 This Raven Wreath from a brown paper bag is a quick Halloween wreath to make. It was found among Edgar Allan Poe’s effects after he died. I thought about using orange burlap ribbon to wrap the wreath, but I couldn’t find any, so I decided to use orange tissue paper instead. I think orange and black are very striking together, and I really love this wreath. How to Make a Raven Wreath from a Brown Paper Bag. 1. 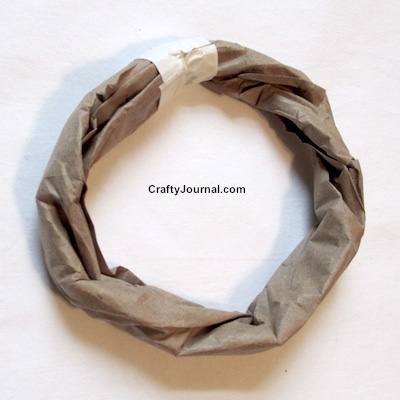 Use these directions to make the Basic Brown Paper Bag Wreath. 2. Cut 2 sheets of orange tissue into 4 strips each (about 5 inches wide). 3. Tape the strips end to end to make one long strip. I used packing tape because I think it sticks better to tissue paper than regular tape. 4. Crumple the tissue paper strip into a ball. 5. Straighten the tissue paper strip out again and tape one end to the back side of the wreath. Start winding the tissue paper around the wreath. I had a long enough strip to wrap around the wreath twice. 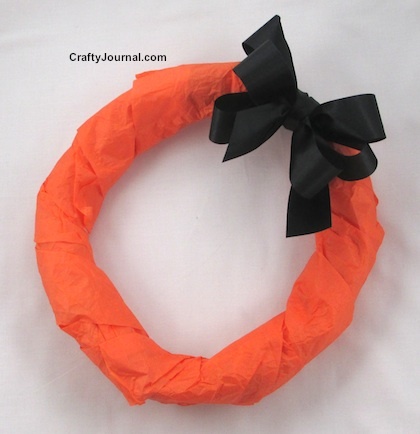 After you’ve used all the tissue paper strip, tape the second end to the back of the wreath. 6. Make a bow with the black ribbon. 7. Use a bit of hot glue to hold the bow in place on the wreath a little to the left or right of center. Then tie a piece of ribbon around the bow and wreath. 8. Use another piece of black ribbon to hang the wreath. 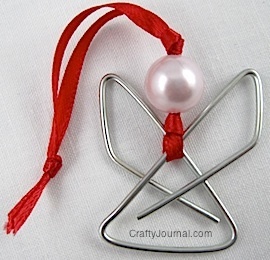 Or use fishing line if you want the hanger to be invisible. 9. Attach the bird to the inside of the bottom part of the wreath. Well, what a clever idea for a wreath! 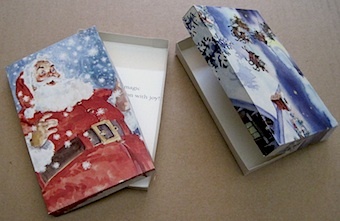 I love that it uses supplies that are handy and easily available. So glad you shared this with Roses of Inspiration. My son has been wanting to decorate for Halloween and wasn’t sure what we would do but after seeing this Wreath I think we will make one for the front door. I love the ‘Raven’ poem! Three years ago I centered my mantle around the Raven for Halloween. Still use the banner I made. Your wreath turned out cute! Thanks for sharing with SYC. That is a very cute wreath. Great crafts for my grand kids. Thanks for joining The Gathering Spot last week. Hope to see you again this week. 🙂 Happy Labor Day! What an easy project for Halloween requiring only a few materials! 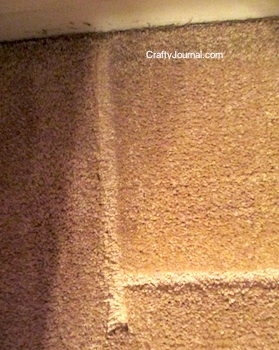 I love how you used the brown paper for the inside – smart idea! Thanks for sharing at Dream. Create. Inspire. Link. Perfect for Halloween!! Thanks for sharing on My 2 Favorite Things on Thursday!! Hope to see you tomorrow!! Pinned! Such a cute & thrifty idea! Tweeted & shared. Thanks for joining in the Inspiration Spotlight party. What a great idea, it looks suitably spooky but actually very tasteful too! A great use of an old paper bag. Thank you so much for linking up and sharing on #Trash2Treasure. Hi Noreen! Thanks for all your wonderful Halloween craft posts you’ve submitted over the last couple of months. My round up post is going live tomorrow and all your posts have been featured. Thanks for all your support! Creative idea to use the brown paper bag as the base! Thanks for sharing with SYC. Cool project. All the best. This is such a cool and simple craft! Love it! I love it. Very simple & elegant! I love it!! Oh, you are too funny. Found among Edgar Allen Poe’s effects, huh? I wanted to let you know that YOU are going to be my featured blogger of the month with your awesome little wreath – that you inherited. ha ha Have missed you greatly at the party! SO glad you are back, buddy. Have featured the Raven Wreath in this week’s Practical Mondays …keep sharing !